Dr. Gelb is back this week with Deidre and JG to talk about the importance of quality sleep. Dr. Michael Gelb returned to GutwiZdom this week! Dr. Gelb is a best-in-class, NYC-based expert in the subject of sleep. Dr. Gelb has earned the prestigious award of Top Doc New York® multiple years in a row and is the author of GASP: Airway Health- The Hidden Path to Wellness. To reach Dr. Gelb at The Gelb Center, you can email office@gelbcenter.com or call 212-752-1662. In fact, if you contact The Gelb Center soon and mention this episode of GutwiZdom, you can get a discounted sleep consultation and a signed copy of Dr. Gelb’s book! Don’t wait, though, this is a limited time offer. In this episode, Dr. Gelb spoke with Deidre and JG about how lack of sleep can affect so many aspects of your life including physical health, mental health, focus, concentration, weight, and even memory. Check out some more WiZdoms from Dr. Gelb below, and if you missed Dr. Gelb’s first episode, listen to it here! 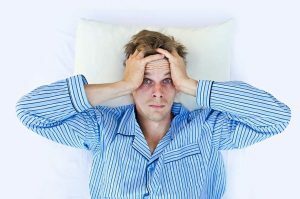 If you’re not getting enough sleep or you’re getting disrupted sleep, it could be effecting your memory. Memory problems related to lack of sleep could start as early as your 20’s and has an effect on your focus and concentration. In younger children with ADD or inattentiveness, disrupted sleep could be the issue. The amount of sleep we should get nightly varies by age. Infants should get about 16 hours of sleep, while adults should get 7-9 hours. Whether you’re in your 30’s, 40’s, 50’s, or 60’s you should still be getting those 7-9 hours. Most importantly, are the hours of sleep you’re getting uninterrupted? Even if you’re not waking up to consciousness, your brain might be waking up from your partner moving around, pets, children, or noises. Last time Dr. Gelb was here, we discussed the STOP BANG test, but also ask yourself or your partner that you sleep with if you move around a lot in your sleep, do you have trouble breathing through your nose, are you the type of person that falls asleep on the train, at the movies, or as the passenger a car? You might have a sleep disorder that can be diagnosed, cured, and can help with your memory and focus problems. Trouble falling asleep or trouble staying asleep can be related to a blocked airway and can feel like you’re being strangled all night. Once you open the airway and take the “hands off the throat,” it will get the brain the oxygen it needs and falling asleep will be much easier. When you’re trying to fall asleep make sure you’re in a dark room, you can try using black out shades or an eye mask. You want the room to be cool at 68 degrees and to cancel out noises try using a white noise machine. Also, if you’re working before bed or using your phone, use an app that will cancel out the blue light so it doesn’t keep you awake. Start early! If you have problems that keep coming back take care of it now. These things are reversible but they are also preventable. Once you allow the brain to get the oxygen it needs and you are getting healthy, restorative sleep, most things will get better. Don’t forget - contact The Gelb Center soon at office@gelbcenter.com or call 212-752-1662 and mention this episode of GutwiZdom to get a discounted sleep consultation and a signed copy of Dr. Gelb’s book! This is a limited time offer, so reach out now!! LISTENERS: ARE YOU STILL TIRED WHEN YOU WAKE UP FROM A GOOD NIGHT’S SLEEP? Send us your answer. Either leave us a voicemail at 1-646-653-9278 or send us an email. We may talk about it - or we may even talk with YOU - on the air!